Underneath the bastions of the National Museum of Bermuda lie several hidden magazines. 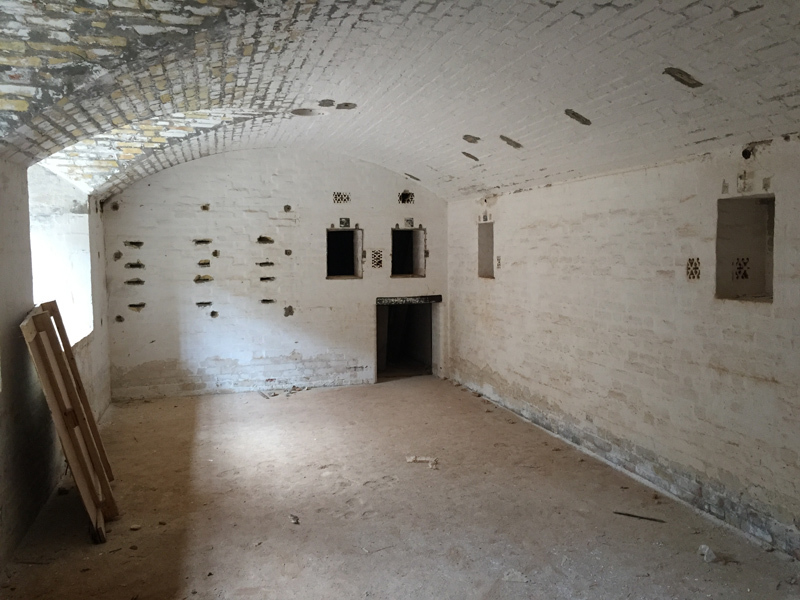 Normally off-limits to visitors, these rooms were originally used to store the shells and gun powder for the gun emplacements above. 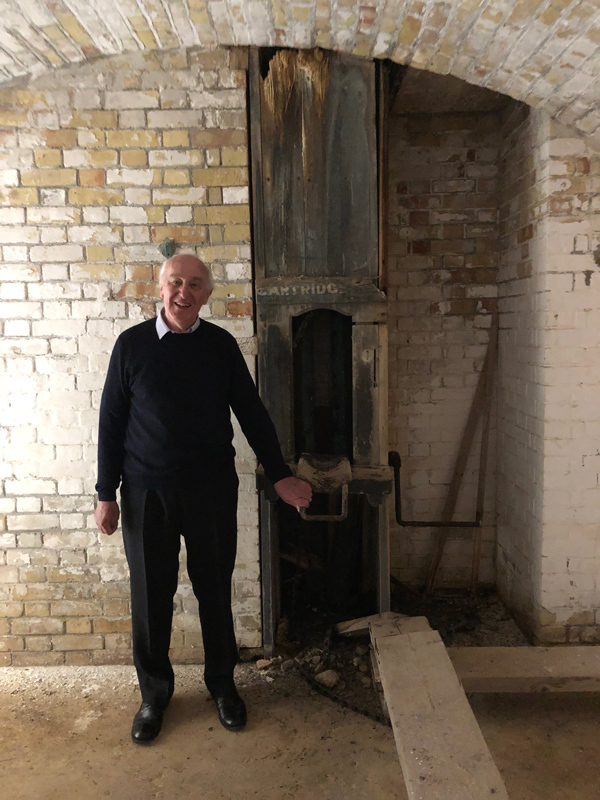 For the past week, visiting volunteer forts historian Victor Smith has conducted an intensive examination and survey, recording the interiors of the rooms underneath two of the bastions of the Keep Fort. Mr. Smith’s visit has been generously supported by the Stempel Foundation. 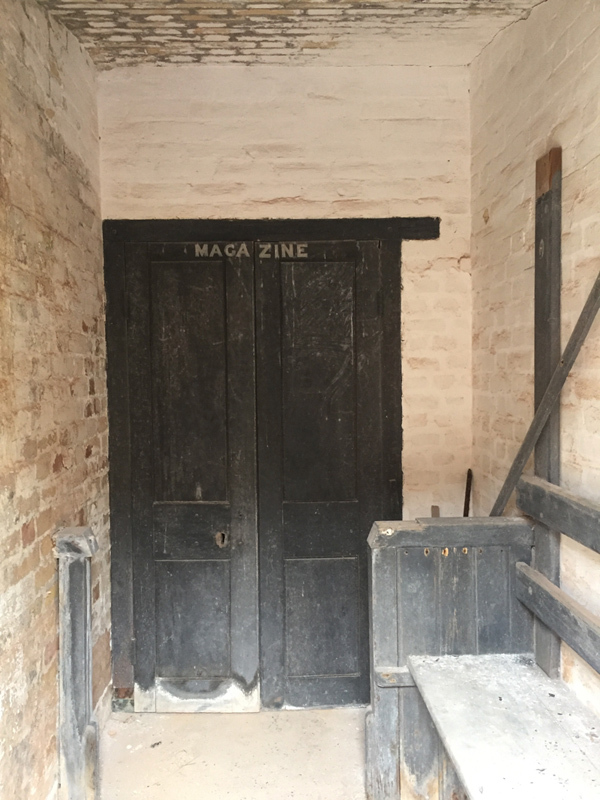 This is phase one of the Museum’s bastion restoration project, with the aim to fully restore the magazines and open them to the public in the future. Mr. Smith’s recording and assessment will provide vital information and ensure that the restoration is as historically accurate as possible. 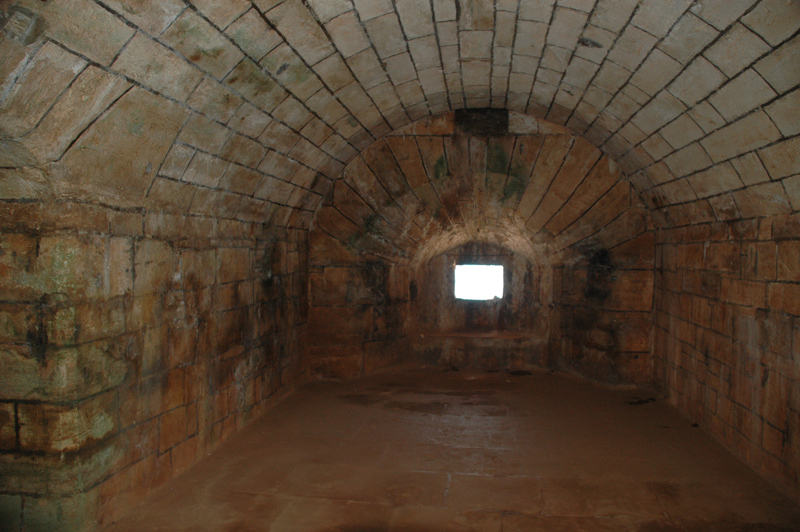 Once restored, these areas will allow Museum vistors to experience Bermuda’s largest fortification by “stepping back in time”. Smith will also advise on the installation and display of the massive 9.2 inch Mk X rifled breech loader gun, originally mounted at Fort Victoria. Victor Smith is a graduate of King’s College at the University of London where he specialized in War Studies and fortification. He was one of the founders of the international Fortress Study Group, a society which aims to further the study and understanding of military architecture and fortifiactions. Smith is currently the Chair of the Historic Defences Committee of England’s Kent Archaeological Society and an advisor on the restoration of historic defences, having working in the Caribbean and England. He was the Chief Executive of the Brimstone Hill Fortress National Park in St. Kitts from 1989-1990. This is his third advisory visit to Bermuda, having worked earlier for the National Museum, then the Bermuda Maritime Museum, and for the Bermuda Government on advisory assignments.